Staring: Ian Buchanan (Lester Guy), Nancye Ferguson (Ruth Trueworth), Miguel Ferrer (Buddy Budwaller), Gary Grossman (Bert Schein), Mel Johnson Jr. (Mickey), Marvin Kaplan (Dwight McConigle), David L. Lander (Gochktch), Kim McGuire (Nicole Thorne), Marla Rubinoff (Betty Hudson), Tracey Walter (Blinky Watts). 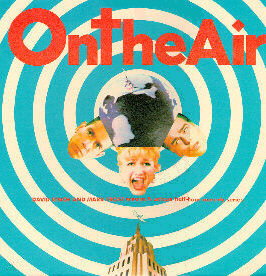 Original air date: 6/20/92 on the ABC Network. Featuring: Dorsay Alavi (chorus girl), Vanessa Angel (chorus girl), Reo Danzelle (chorus girl), Carolyn Lowry (chorus girl), Raleigh Friend (hurry up twin), Raymond Friend (hurry up twin), Buddy Douglas (phillip morris messenger), Bruce Grossberg (control booth technician), Irwin Keyes (shorty the stagehand), Everett Greenbaum (ZBC announcer), Susan Russell (announcers assistant), Angelo Badalamenti (piano player), Walt Robles (flying stagehand), Peter Rocca (stunt double). It's 1957 and a new TV show is about to premiere. It's "The Lester Guy Show" staring Lester Guy, a washed up film star who couldn't get a job anywhere until he's hired by the president of the Zoblotnick Broadcasting Network (ZBC) to star in his own show. Unfortunately, the show is hindered by Lester's ego; an incompetent director who got the job only because his uncle owns the network even though no one can understand him; a producer who's constantly nervous; the spacy blond costar named Betty Hudson who has no experience in TV; and an equally dysfunctional crew. Things seem to go well on the rehearsal, but of course the actual show is a disaster. Props break, sound effects get mixed up, and cues are missed. Betty ends up saving the show by singing a song her mother taught her, stealing the show. The phones light up, and of course, the show ends up being a hit. This is a good start to the series. The first episode not only sets the premise of the show, but also introduces the characters, most of whom have that wonderful quirky appeal that was also found in Twin Peaks. Miguel Ferrer also has some classic lines has the president of the Network. True, his character is basically Albert Rosenfield if he worked in TV instead of for the FBI, but hey, it works! The Network Executives are portrayed as a bunch of half-dead, boring men in suits. Could this be Lynch's and Frost's jab back at the network after the way the executives treated them during Twin Peaks (and On the Air itself)? Angelo Badalamenti is the piano player seen in the background while the chorus girls are rehearsing. Featuring: Joseph Pecoraro (Guiseppe), Ben Kronen (Waiter), Irwin Keyes (shorty the stagehand), Buddy Douglas (Buddy Morris), Raleigh Friend (hurry up twin), Raymond Friend (hurry up twin). Cards, letters and gifts are pouring in for Betty Hudson after her performance on the first episode. This all makes Lester jealous, especially when Betty gets an invitation to have dinner with Mr. Zoblotnick, the owner of the network. Lester and Budwaller plot to get Betty off the show. Meanwhile, Betty is nervous over meeting Mr. Zoblotnick. The rest of the cast and crew reassure her, but Lester, Budwaller and Thorne plot to sabotage the dinner. Lester poses as the car driver and convinces Betty that Mr. Zoblotnick is a womanizing cruel man who is paranoid about his hairpiece and his wife. This makes Betty completely paranoid for the dinner. Lester poses as a waiter, Budwaller and Thorne spy on them from a nearby booth. Betty is so nervous during dinner that she says all the wrong things, including mentioning Zoblotnick's wife and wig. But unfortunately for Lester and Budwaller, Mr. Z loves all this and thinks it's a big joke planned by them and Betty. Lester ends up blowing his cover as well as Budwaller's. Mr. Z leaves to call his wife, and the episode ends with Betty asking Lester if he would like her to ask Mr. Z to give him a raise, since he's having to make ends meet working a second job as a waiter. Once again Betty and Budwaller have the best writing. This is the first episode in which we see the duck. Featuring: Peter Pitofsky (worker #1), Irwin Keyes (shorty the stagehand), Loren Janes (executive) Everett Greenbaum (announcer), Buddy Douglas (Buddy Morris), Raleigh Friend (hurry up twin), Raymond Friend (hurry up twin). During rehearsals McConigle's allergies act up. Lester has a plan to ruin Betty: a quiz show where she competes against Professor Answer, the man with the highest I.Q. ever measured, for $64,000. This will show the world how stupid Betty really is, or so the theory goes. Of course, the game is rigged. Meanwhile, Dr. Winky pays a visit and gives McConigle a potion that causes his allergies to go away. The quiz show takes place. Betty's partner is Mrs. Thissle, her grade school teacher, who proves to be a match for Professor Answer. Unfortunately, Mrs. Thissle thinks this is a rehearsal. When she realizes it's going out live, she panics. Lester thinks Professor Answer can't loose now, but the sound effect for a wrong answer drives the Professor crazy. McConigle, who's gotten high on his allergy medicine, stumbles on the stage and he and Betty end up winning the quiz show by a chance fluke answer. I'm not sure how Lester thinks this quiz show would ruin Betty. I'm sure it's pretty obvious to the viewers that Betty is not to bright, but that's part of her charm. Budwaller has a great line: "Lets all get down on our hands and knees and look for Professor Answer's IQ." McConigle, confused as he is, actually starts to do this. Original air date: Never aired in the U.S. Featuring: Bill Zuckert (crusty old stagehand), Irwin Keyes (shorty the stagehand), Everett Greenbaum (announcer), Buddy Douglas (Buddy Morris), Raleigh Friend (hurry up twin), Raymond Friend (hurry up twin). Betty has made a new friend in the form of a duck named Doodles who is to be used in a hunting skit. A former film and stage star, Stan Tailings is brought in by Lester as a guest start. He thinks with good actors by his side he can rise to greatness (and make people forget about Betty). Unfortunately, Stan ends up having a voice that constantly cuts out and he isn't used to performing live. Meanwhile, the stagehands accidentally fry Doodles while testing an electric chair for the final skit of the show. Betty continues looking for Doodles and the stagehands treat themselves to some fried duck. Finally it's showtime, and as usual everything goes wrong. Featuring: Irwin Keyes (shorty the stagehand), Everett Greenbaum (announcer), Buddy Douglas (Buddy Morris), Raleigh Friend (hurry up twin), Raymond Friend (hurry up twin). Preparations are under way for the arrival of a new guest star, Sylvia Hudson, the most important female star in the pioneer days of television. The hope is that if things go well, more big name stars will want to appear on the Lester Guy Show. Sylvia also happens to be Betty's cruel sister, who always makes fun of her. There's another guest star as well: Mr. Peanuts, the star of the morning kids show. Betty is upset over the arrival of her sister, Lester is excited because he once had a relationship with Sylvia (or so he tells it). Sylvia arrives, orders everyone around and is just generally rude, including insulting Mr. Peanuts. Everything goes wrong on the show of course. Nicole's skirt gets caught in the gears that open the door during Sylvia's entrance, causing them to slam shut in her face. Sylvia spends the most of the rest of the show in a daze, passing out during the next sketch. Betty, Bert and even Mr. Peanuts try to save the skit by taking over Sylvia's part. Sylvia finally comes to in just enough time to ruin the scene and threatens Mr. Peanuts on live national television in the process. Everyone sings the Mr. Peanuts theme song to cheer him up, and Sylvia ends up getting the door slammed in her face again. This is my personal favorite episode. All the scenes with Mr. Peanuts are great, but especially the scene between him (it?) and Budwaller. And of course, you can't top the Mr. Peanuts theme song! As Budwaller says at the end of the episode, "Now that's entertainment." A plumber creates chaos in the studio by putting up a complex pipe system that seems to run everywhere. Meanwhile, everyone waits for that weeks guest star, The Great Presidio, a magician Mr. Zoblotnick once saw and now wants on the show. Unfortunately, Presidio is not quite what he once was (at first they mistake him for a bum wandering the studio). Presidio is paranoid of a dog that wears a hat and smokes a cigar because he brings transformation. Lester accidentally finds a sketch showing a title logo for "The Betty Hudson Show." Nicole overhears Presidio telling Betty about the dog and develops a plan. Lester tries to learn magic to make up for Presidio's lack of awareness and steal the show. Nicole convinces Betty to put a hat and cigar on Snaps and release him during Presidio's act in order to ruin him and allow Lester to shine. But the plan backfires and seeing Snaps transforms Presidio into the great and powerful magician he once was. He turns Nicole into a lizard and makes Lester disappear. Featuring: Gregory Sporleder (sax player) Irwin Keyes (shorty the stagehand), Everett Greenbaum (announcer), Buddy Douglas (Buddy Morris), Raleigh Friend (hurry up twin), Raymond Friend (hurry up twin). Lester tries to convince Budwaller to put the Woman With No Name, a beatnik from "downtown" on the show. Betty has forgotten her mother's name for two days and is worried. Gochktch is fascinated with the beatnik and her boots. Meanwhile, Lester and Nicole plot to ruin Betty using a voice disintegrator to mess up her voice. Mr. Zoblotnick pays a visit to the set to see the great beatnik Gochktch has been telling his uncle about. Lester and Nicole's plan isn't going well as they can't get Betty to say anything. She refuses to speak until she remembers her mother's name. Instead they plan to use the machine live during the show. The only problem is, the machine accidentally switches itself to be aimed at Lester instead of Betty. Gochktch and Mr. Z are still obsessed by the beatnik. Showtime arrives, and Lester is humiliated by his voice being distorted by the voice disintegrator machine. The Woman With No Name performs. Betty, while singing, remembers that her mother's name is Mary. Ruth finally realizes that "beatnik" is German for "bootmaker," hence the reason Gochktch and Mr. Z keep bringing her boots. Everyone joins end and performs with the Woman With No Name. The episode is pure Lynch, especially with the whole beatnik bit. The Betty/Sax Player conversation is a classic. Neither of them really understands what the other is saying. (Saxman: "Just the reefer." Betty: "Oh yeah, I love the sea!" Interestingly enough, while Lynch co-wrote this episode, he didn't direct it.